Having shadowed several precision farming specialists from multi-store farm equipment dealerships for this series (see past "Day in the Cab" stories), I've come to appreciate the layered responsibilities that come with selling and supporting the technology of a major agricultural brand. 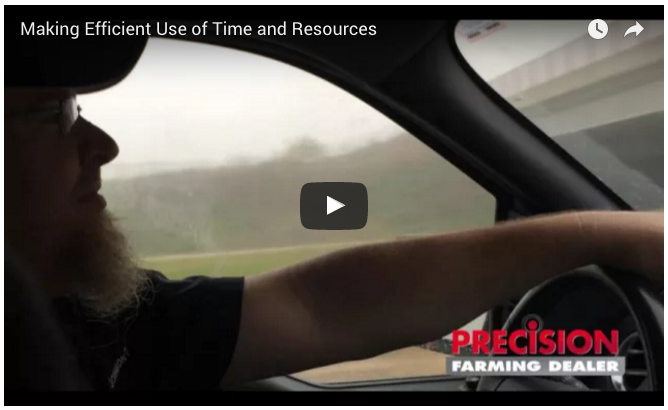 The ability to relate to farm customers, understand their concerns, patiently solve their problems and even share in their frustrations are traits that define a successful precision farming dealer. 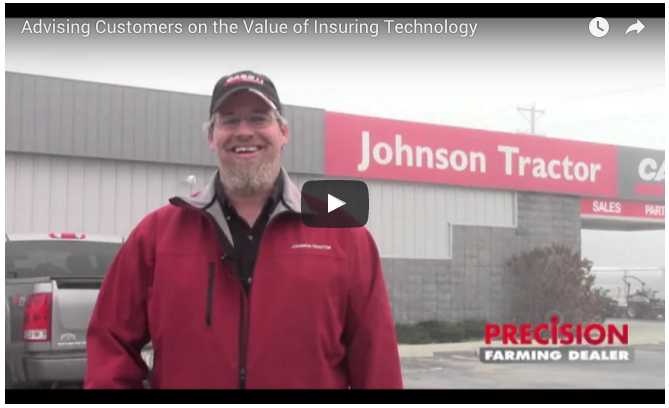 Riding along with Jason Pennycook, precision farming specialist with Johnson Tractor, for this installment of our Day in the Cab series, it didn’t take long to realize he embodies the qualities and character of someone born to work in agriculture. 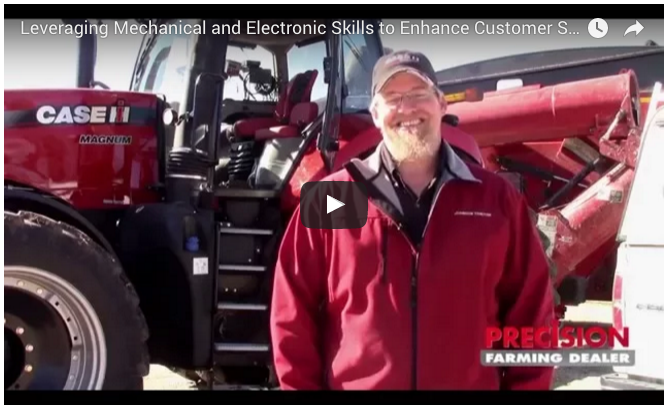 With experience troubleshooting mechanical and electronic problems on farm equipment, Jason often leverages his diverse skillset to provide customers with comprehensive service. 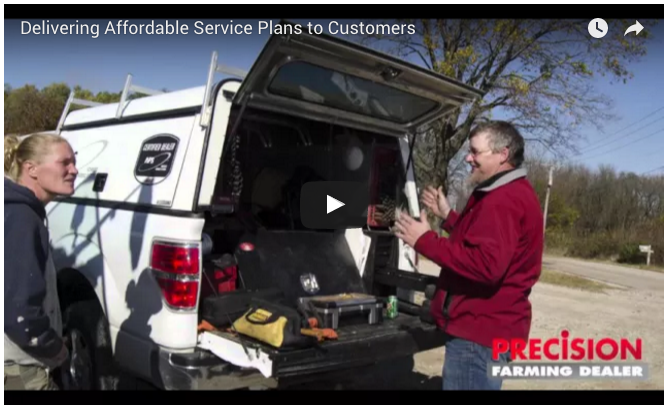 But his third tier of experience as a farmer keeps him grounded and in touch with customers’ needs, no matter how mundane. 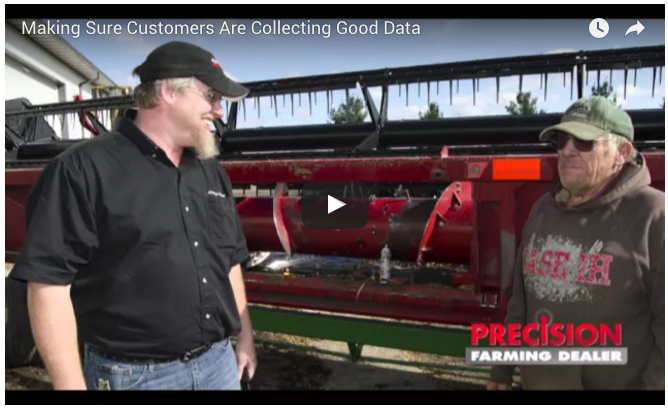 Despite winding down a whirlwind harvest, seldom was Jason without a smile during the course of our 10 hours and 180 miles together, whether solving a GPS mystery, scaling the side of a grain bin or anxiously downloading precious data from a yield monitor. 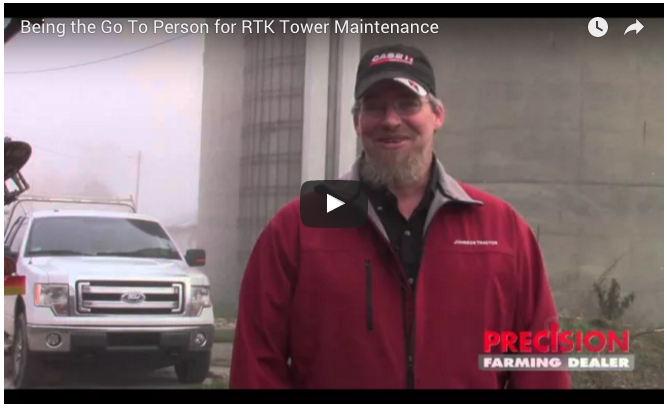 The ability to relate to farm customers, understand their concerns, patiently solve their problems and even share in their frustrations are traits that define a successful precision farming dealer.